One of the first events you must participate when you enter college is orientation. This is needed for multiple reasons, but the most important is to help new students adjust to their new surroundings. It helps smooth that transition period for many students entering into college. The New Student Institute (NSI) is a five-day orientation program here at SNU. New students and transfer students are placed into family groups with faculty and student mentors, who participate along with them in the events. 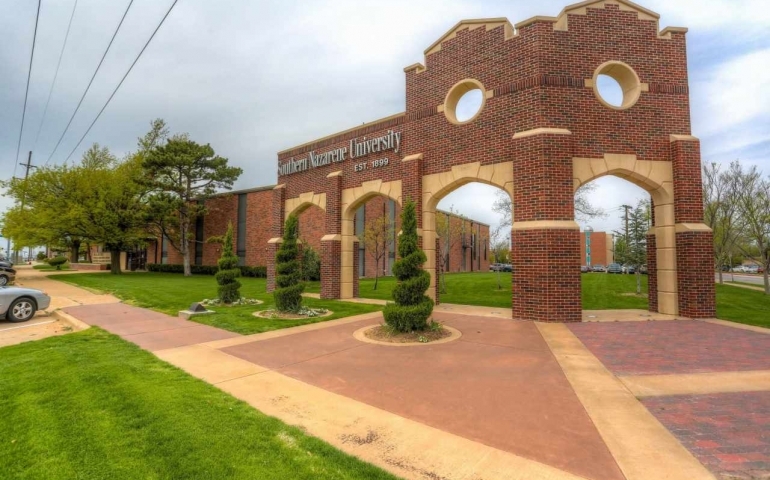 These days are packed with fun events for students to experience at SNU. One of the most important factors in NSI is the student mentors. These students have all experienced NSI and understand how to make the most out of it. They also enjoyed their experience with NSI and want new students to also feel the welcome they felt. Jana Seymour, a sophomore English major, truly enjoyed her NSI experience and felt it made her first year in college easier. Andrew Griffin, a senior English and Philosophy double major, agrees with the immense impact a student mentor can have. These mentors are well-equipped with the knowledge to help these students. In their preparation for NSI, mentors learn about the regulations and information about SNU. So, if the students are curious about anything, the mentors will be able to answer them. Seymour and Griffin both described the training as an informative session with a relaxing atmosphere. It is safe to say that it wasn’t a difficult task to complete. Do you have a story about an NSI mentor that impacted your life? Let us know in the comments.